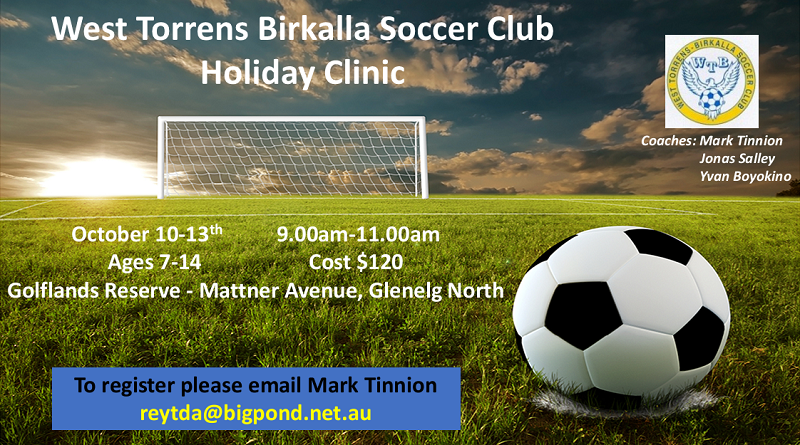 West Torrens Birkalla will be running Junior holiday clinics from October 10th. Get training from the games best including former international Jonas Salley and Yvan Boyokino. Available Spots are limited so please do not hesitate to avoid missing out in this great opportunity.